Sure we might be a bit biased, but these third-party awards let you know you’re getting the BEST WATER SOFTENER on the market. 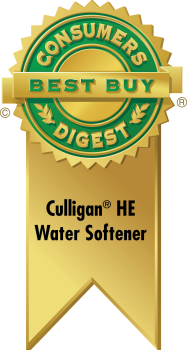 More importantly, every Culligan Water softener comes with a Culligan Man so whether you need service, salt delivery, or help moving your softener from your old home to your new home, we’ll be here to help. We live and work in Palm Beach and we’re here to stay.